I have taken my newborn beanie pattern and made one with a lacy look, one with some added ribbing and texture around the beanie itself and made a seamless, in the round beanie with a very simple edging. 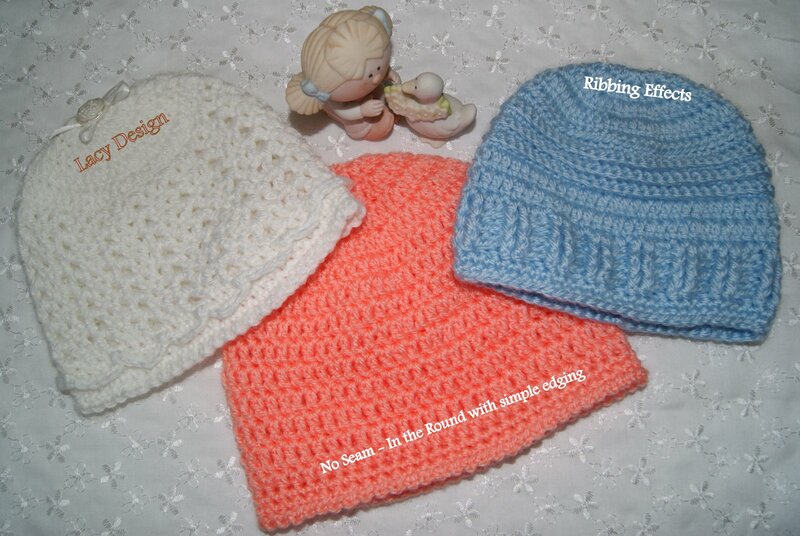 Will be donating all of these to our local hospital for their new maternity ward. I can just picture some sweet little ones going home with these and it puts a great big smile on my face. Take your crochet style to another level too by trying new techniques to this very basic pattern. The super simple and subtle edging was just crocheting on the last row in each stitch — a SL (slip stitch), CH one (chain stitch), SL, CH one, SL, CH one around the entire beanie.